Chris Sharples. Courtesy SHoP Architects. 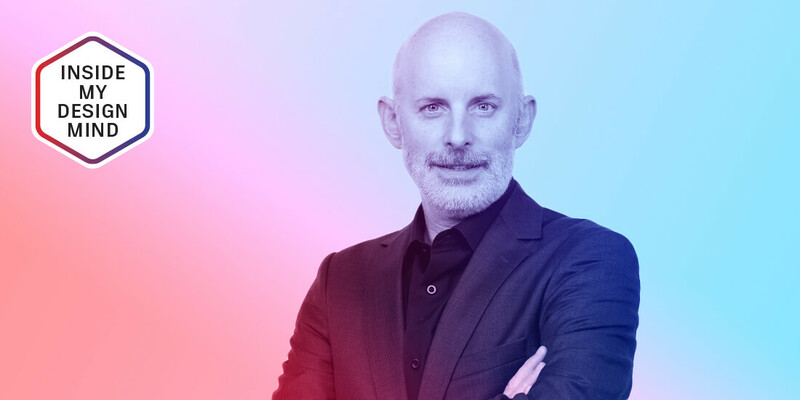 Twin brothers Chris and Bill Sharples are two of the founding partners of SHoP Architects, a New York-based firm established 20 years ago to bring together diverse expertise in designing buildings and environments that improve the quality of public life. Uber’s new headquarters features a series of work space “neighborhoods” that access collaborative zones. Courtesy SHoP Architects. Here Sharples talks about SHoP’s unorthodox approach, recent projects, and what’s in store for the future. Your work spans a range of typologies, from waterfront esplanades to skyscrapers to sports coliseums. Across such a broad portfolio, what connects your work? When we founded the office, none of us came directly from architecture backgrounds. I had degrees in history and fine arts from Dickinson College. I don’t know if it was out of naiveté or because of our liberal arts backgrounds, but we didn’t want to specialize, we didn’t want to constrain ourselves; we wanted to be general practitioners. We were more interested in how architecture could play a role in the big picture, expanding beyond the site into the whole fabric of the city, whether through cultural institutions, residential and commercial buildings, or public works. The design for Brooklyn’s Barclays Center emphasizes a connection to the public space surrounding the building. Courtesy Bruce Damonte/SHoP Architects. 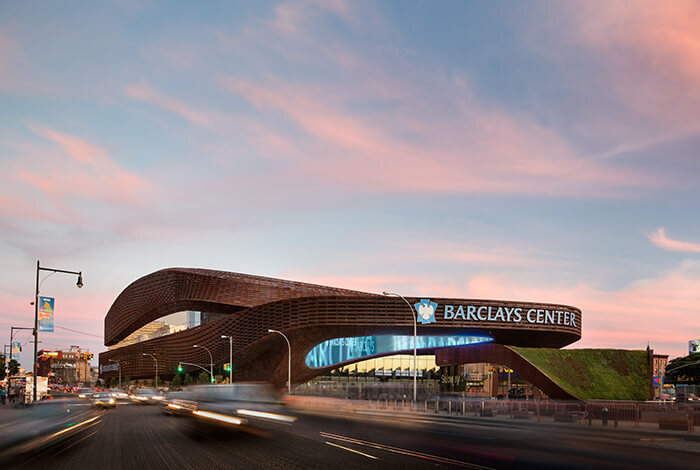 Can you share the design inspiration behind the Barclays Center in Brooklyn? One of the keys to creating an urban architectural experience is world-class public spaces. Our aspiration for the Barclays Center was to imagine how we could turn the arena into a civic gesture. With its 30-foot-high entrance canopy and the oculus the size of a basketball court, even if people don’t go there for an event, they feel that they are a part of something. Unlike other arenas, Barclays prioritizes mass transit; more than 80 percent of the people coming via public transportation arrive into this great urban space. Like Bernini’s “arms” at St. Peter’s Square in Rome, there is a strong connection between the building and the public space that surrounds it. What lasting imprint do you hope your buildings will leave on New York? That they create a human connection. We really want to create a sense of material authenticity and delight, and human-scale quality, variety, variability, and intricacy. When you look at the American Copper Buildings, or 9 DeKalb Avenue in Brooklyn, or 111 West 57th Street, you see how material is involved in breaking down the size of these buildings—using traditional materials like copper, zinc, terracotta, weathering steel, materials that will develop a natural patina over time and are artfully crafted to draw your eye into the beauty and uniqueness of the building. At the same time, we’re not just putting our efforts toward ground-level articulation, but also carrying that attention up into the towers. We want to marry materials that have been around for hundreds of years with a new fabrication process that can bring a sense of human scale to the built environment. 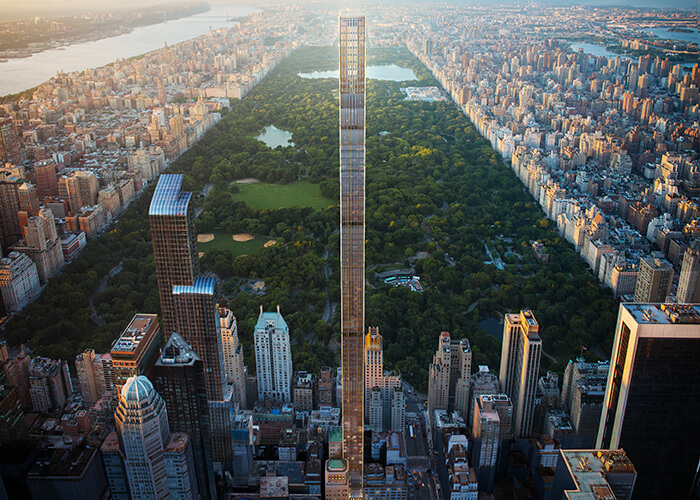 The new residential tower at 111 West 57th Street in New York City is projected to be the most slender skyscraper in the world. Courtesy JDS/SHoP Architects. How does fabrication fit within your design approach? We take a lot of inspiration from the aerospace and automotive industries. We think about design and material systems. These industries not only consider design but examine how they would go about manifesting their creations through a highly complex manufacturing process. The design and making go hand in hand. Are there platforms you find useful for collaborating with interdisciplinary design teams? For us, it isn’t about trying to find a singular platform to solve all our problems. We see digital technology as part of a toolbox of things to develop the design space. We use probably five different programs and, on top of that, we have people scripting; running environmental simulation analysis with virtual reality. We’re really looking at how we take design into the manufacturing world. Learn how other creative minds tackle design. Environmental issues are critical to buildings. Through construction and lifecycle emissions, buildings create nearly half of greenhouse gases in this country. It’s a big problem that needs to be addressed through material science and new environmental control systems. That’s one of the things we’re actively looking at. Another big challenge, especially for New York, is that it doesn’t have enough housing. The city has a goal of creating 300,000 units of affordable housing by 2026. But we’re not going to get there the way we’re going. 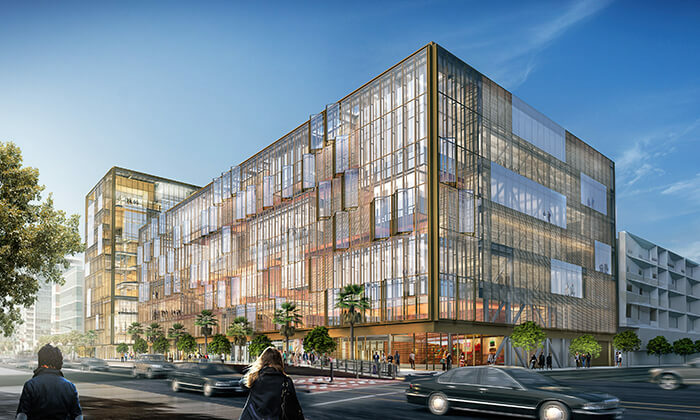 To deal with this problem, we need to think about how we design and deliver high-rise residential projects, moving from a site-constraint construction process to one that utilizes off-site manufacturing. We gained a lot of experience doing a 32-story modular high-rise building on Dean Street. Now, we’re looking to replicate that model, moving from a construction process to a manufacturing process for buildings.